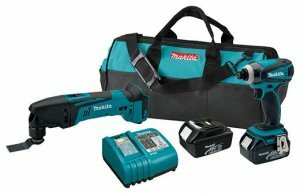 Makita is known for making great cordless tools that all use the same 18V lithium-ion battery. In fact, Makita has bragging rights to over 100 tools that are part of their LXT battery platform; and it looks like it is going to grow by at least one more cordless “tool” pretty soon. That is, if you can count a cordless Makita coffee maker as a tool. 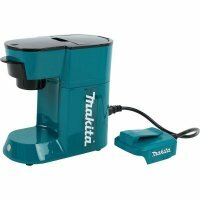 Amazon has a new listing for the Makita DCM500Z 18V LXT Cordless Coffee Maker, though currently listed as unavailable, it will hopefully be available soon. 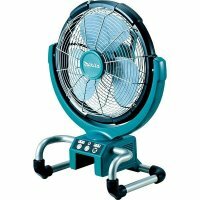 Makita has announced that they have added a new 13-inch cordless fan to their ever growing LXT 18V line. The fan has three speed settings and it can even oscillate to cover a larger area. A built-in timer can be used to automatically shut the fan down after 1, 2, or 4 hours. 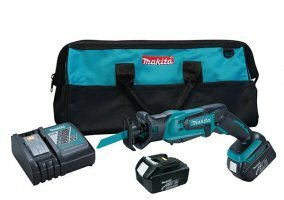 Makita says it can run for up to 4 hours on a single 4.0Ah battery, but the included AC adapter can be used for longer run times. Makita has announced that they are adding a new 18V Compact Reciprocating Saw to their LXT cordless platform. This addition brings their LXT series to over 70 tools that can all use the same 18V battery. 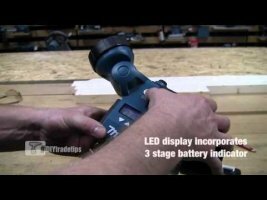 We all know how handy cordless circular saws can be, but we also know that they are usually lacking when it comes to overall power and battery run-time. 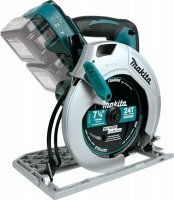 Makita, continuing to expand their new 2x 18-volt (36V) system, showcased their new 2x Cordless 7-1/4" Circular Saw (XSH01Z) that I am sure addresses some of the cordless circular saw shortcomings that we have all come to know and dislike. Back in May, when writing about the introduction of the Makita 36-volt cordless chainsaw, I commented that I would personally like to see a cordless string trimmer. Well, guess what turned up on Makita's website of Friday? 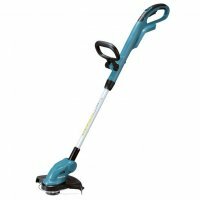 The Makita LXRU02Z 18-volt cordless string trimmer. 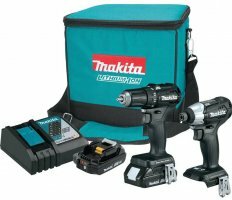 If are ready to start building up a set of Makita 18V cordless tools, and one of their LXT cordless oscillating multi-tools is on your list, you might be interested to know that Makita is now selling them in combo kits. In need of moving some air without having to be tied down with long extension cords? Makita has you covered with the introduction of their new BCF201Z 18-volt LXT cordless fan. With it you have a hassle free way to dry mud, or just keep cool in the summer. Just in time to get one before Christmas, Makita came out with the new LXRM03B Cordless AM/FM Jobsite Radio. Unlike previous models that featured only a line-in for mp3 player connection, the new model features an actual iPod dock. 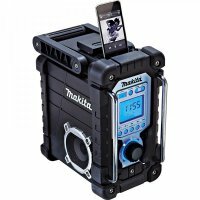 Flashlights are always handy to have around and the music from a radio seems to make the day go by faster, so why not combine the two into one compact package? Besides, you can't show off your slick dance moves in the dark.